Instant gratification, honeymoon funds, and a very specific shade of pale, bubble gum pink are just a couple of the notorious concepts attached to those born in the Millennial Generation. Today, Millennials make up a quarter of the U.S. population and are a unique force to contend with, not only because of their iconic contributions to pop culture, but because of their effect on real estate trends and how those trends affect their generational predecessors, the Baby Boomers and Generation X. Truth be told, many of the stereotypes of Millennial behavior might be attached to some of the generation’s members. The gap between older and younger Millennials often make a difference in attitude toward real estate. Add in the niche group of active duty military Millennials--about 72% as of 2015--and a more nuanced real estate picture forms. To put their age group into perspective, many of the military’s older Millennials are approaching retirement or have retired recently. Whether they continue to take up residence in their parent’s basement or continue their searches for affordable housing, Millennial choices will influence the greater real estate market for the near and distant future. The term Gen Y is often interchangeable for Millennial, but some statisticians disagree on their overlap and separate the two. The term Xennial (born between 1977-1983) is also sometimes referenced as a micro-generation because their characteristics don’t exactly fall into the Gen X or Millennial interpretations. The housing crisis of 2008 maintains its influence on housing choices across the U.S., especially among Millennials. They witnessed for themselves the severe economic difficulties and have been slow to jump into the real estate pool. However, some Millennials are making progress. About 37% percent of them own a home and those who don’t are still very interested in a future purchase. This year, Bank of the West surveyed 1,000 Millennials to gauge their real estate interests. The vast majority at 96% say they want to, if they don't already, own a home. The very Baby Boomer notion that a home purchase equates to the American Dream still has a strong hold, even among the youngest Millennials. In stark contrast, another striking statistic emerged from the same survey. Of the Millennials who did own a home, 70% have regrets about their purchase. Why? Mostly because they didn’t consider the big picture of the financial implications. Many siphoned money from their slim retirement accounts to fund down payments. Others weren’t prepared for the cash needed beyond the down payment, including insurance, necessary home improvements, and taxes. Add the fact that homeownership requires weekends at home to perform costly maintenance. Millennials are missing their freedom to travel and try new entertainment experiences. Millennials are faced with home pricing that outpaces salaries and has for years now. Consider that the current median sale price of a home is $238,000. Only five years ago, this price sat at $166,000. This is a more than a 43% jump. Although highly educated, Millennial salaries are not keeping up with real estate appreciation. It's estimated that Millennials are contending with student loan debt that is 84% higher than the previous generation. If this debt becomes delinquent and is captured on their credit reports, it hampers any hope for a competitive interest rate for their first mortgage. Renting is still a strong option, not only because of high debt and low incomes, but because of the way Millennials are known to seek new experiences and locations. They often transplant to overly expensive locations like San Francisco and Washington, D.C., where rent is higher and availability remains low, but the amenities such as walkability and access to a vibrant arts culture are too attractive to ignore. Traditionally renters anyway, military Millennials add to the scarcity of affordable rentals, and rentals in general, especially in high cost areas where civilian and military populations readily compete for off-base housing. With duty station time frames that normally only span 2-3 years, buying a home isn’t usually the best financial option until after their time in military is over. For those leaving active service or retiring soon, they’ll find themselves competing in a seller’s market with a small inventory to choose from. The age group as a whole is trying to find a place to call a permanent home, and they’ll contend with creeping interest rates and competition from non-military buyers. Because Millennials had difficulty saving for various reasons: student loan debt, lagging wages, and insufficient military spouse employment, a 20% down payment is likely to be difficult to secure. This is where a VA Loan will look increasingly more attractive, as the down payment isn’t required. Related: Military Millennials: How Much Home Can I Afford? 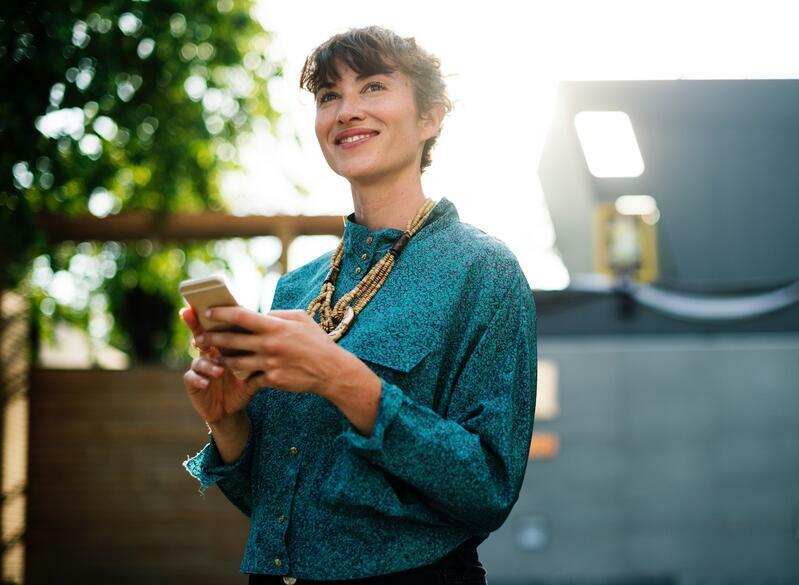 From the looks of the current competing renting and buying statistics, it will be difficult to forecast what type of mark the future of Millennial real estate choices will leave on the younger and older generations. Once recent study by Fannie Mae’s Economic Strategic Research Group discusses the potential of an upcoming Baby Boomer sell off. The study suggests that between 2016 and 2026, up to 11.9 million aging homeowners will end their ownership status. Later, from 2026 to 2036, up to 14.6 million more are expected to sell. The worry is that the vacancies will not be filled by the younger generations, especially the Millennials, because their attitudes on real estate have been so varied and their population is much bigger than Gen X. The lackluster home sales could produce negative outcomes for the entire home sale market. Further muddying real estate waters for the next 10 years, Gen X will have earned more spending power. As they are in their late 30s and 40s, many will reach their peak earning potential. They have also been the one generation which has made the most gains from the economic depression more than a decade ago. Logically, they should be on track to buy what the Boomers are selling, but insert Millennial competition and home sale trends become unclear. Millennials are a generation that has produced reams of data and surveys by marketing businesses big and small to fully understand their thoughts and basic outlook on life. 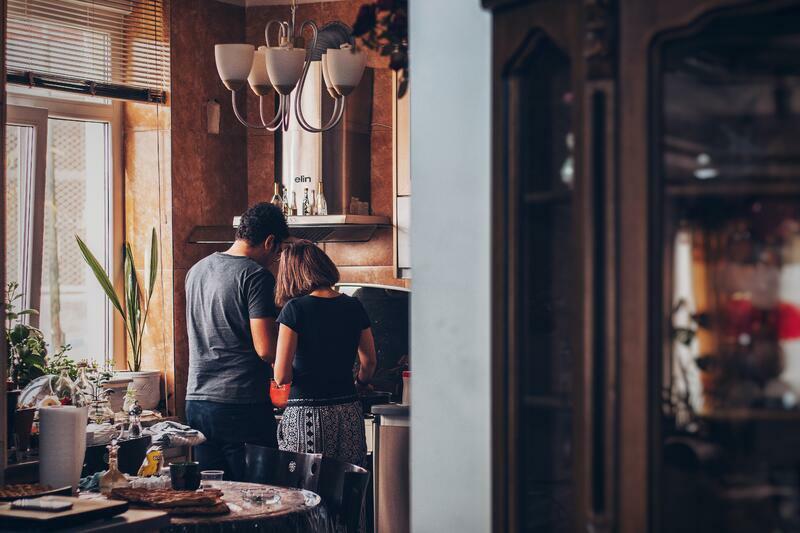 In effort to understand and accommodate Millennial buyers and renters, the real estate industry is wise to watch for trends throughout their lifestyles. Take a look at what the Brookings Institute compiled as notable facts about the Millennial Generation. “Millennials will comprise more than one in three of adult Americans by 2020. 87.5% of Millennials disagreed with the statement that “money is the best measure of success,” compared to about 78% of the total population. The top ideal employers of currently employed Millennials are Google, Apple, Facebook, the U.S. State Department, and Disney. Five of the top 15 most ideal employers are government agencies (State Dept., FBI, CIA, NASA, and Peace Corps). 63% of Millennials want their employer to contribute to social or ethical causes they felt were important. About half of older Gen Xers and Boomers felt the same. Time marches on and won’t wait—even for the Millennials. But as they have aged, the traditional milestones like marriage and children have been purposefully delayed. They took their time moving out of their parents' home, and many will put off expanding families and buying houses due to financial constraints not only in real estate, but in other pertinent categories like the unaffordability of child care. Millennials will continue to ask for affordable, updated, customizable, green, and smart homes located in culturally flush neighborhoods, which is quite a list to capture in one property. The fact that they will make up the largest portion of real estate buyers and renters until the next named (possibly Postmillennial or Next Gen) generation’s numbers are forecasted means that the real estate industry from builders to agents are going to accommodate their demands. Even though a Millennial favorite of several years ago —avocado toast— sounded silly and excessive in the beginning, the term and food concept has been ingrained in American culture today; just ask the avocado farmers. So, it shouldn’t come as a surprise that Millennial preferences regarding real estate are going to firmly take hold in the future. 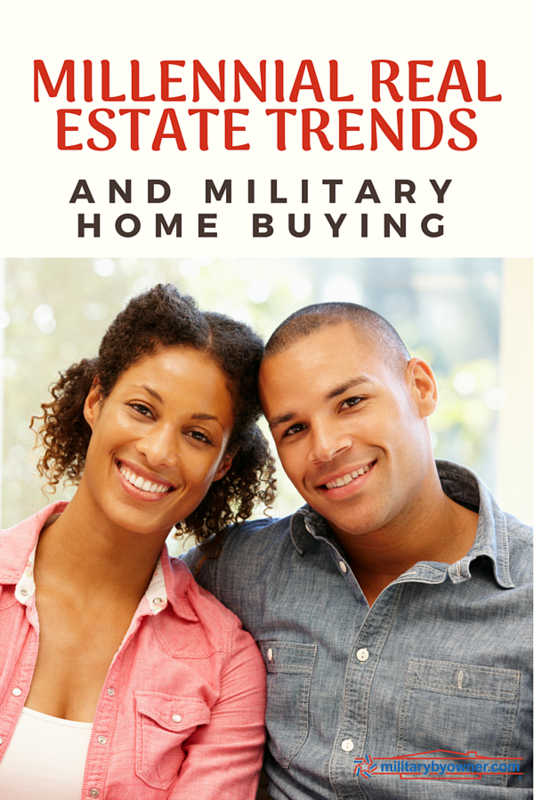 As generational trends come and go, the fact that MilitaryByOwner has rentals and homes for sale remains steady. Baby Boomers, Gen Xers, and Millennials are all welcome to take a look at the inventory to find a home with whichever real estate trend suits your generation’s preferences.